Ontario Bakery: How to Throw the Perfect Princess Birthday Party! How to Throw the Perfect Princess Birthday Party! If you have a little girl, the chances are pretty high that she’ll at some point, as you for a princess birthday party. You couldn’t really blame her either. What little girl wouldn’t want to be surrounded by pink and tiaras? 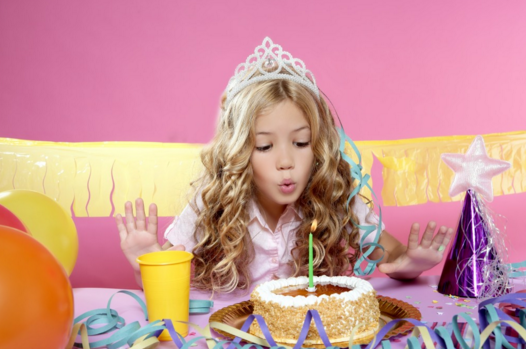 We don’t want you to be overwhelmed, so we’ve gathered together some easy and glitzy girly ideas you can use to throw the best princess birthday party she’ll ever have. Start with the invitations. These will set the tone and get both the birthday girl and her guests excited about the coming soiree! To keep it personal, skip buying invitations. Instead, take a cute photo of your own little princess in her favorite princess dress and use the photo on or as the invitation. Include the important details and encourage her guests to come in their own fancy prince and princess outfits! Goodie Bags. One of the things kids look forward to at birthday parties are the goodie bags. Make sure that your child’s princess party bags include items like princess stickers, princess books and even mini glass slippers. Don’t forget to decorate the outside of the bag as well. Finger Food. A perfect option that is both easy and crowd pleasing are little sandwiches. Find out ahead of time if your guests are vegetarian or have any allergies. Then choose a good sandwich and use cookie cutters to make them that much more inviting! Drinks. Royal children get thirsty! Keep it fancy whether you’re service lemonade from a pitcher or even using juice boxes, by tying or gluing a pink, gold or silver ribbon around each container or glass! Fun. Have a dress up area with different costumes to try on. Get an assortment of either themed princess dresses or fancy clothes and place them in a treasure chest! Include books to read, tiaras and even face paint for extra flair. The Cake. The big dessert has got to help you end with a bang! There are so many possibilities here! Find a cake stylist and get the cake custom made just for your little girl. One fun thing you can do is to gather a few of her princess or doll accessories like purses and pearls to place on top of the cake. Another idea is to have a doll placed in the middle with the cake as the dress. If you’re in Southern California, call us at Ontario Bakery and we’ll discuss the options with you! Keep Wedding Planning Simple with This Easy Tip!